It dawned on me the other day that even though we are members of forums, trading boards, and all sorts of places…..sometimes we don’t really know the people who are doing the posting. So in an effort to get to know each other and maybe hear some cool stories, I thought it might be fun to do an “interview” with just fans. Ask them all sorts of KISS related questions and see what happens. I based the style of the questions after the 20 questions that Metal Sludge does from time to time. Some basic questions and then you can get into details about specific aspects of the persons fandom. I mailed these questions to two people off the bat and have one response back and waiting for the other. If you have any suggestions on who I should do 20 questions with…let me know!! So now…on to the questions….. The first one to send the questions back was Pablo. Better know as olbap12ar over at Stink and the FAQ. IMO, he has a vast knowledge of KISS bootlegs, so I thought it would be fun to pick his mind. My questions are in red, and Pablo’s answers are in black. This is word for word what the answers were. Hope you enjoy!! I’m Pablo, a 41 years old KISS fan/collector from Buenos Aires, Argentina. Mainly hard rock and heavy metal from the 70s and 80s, like KISS, AC/DC, Led Zeppelin, Accept, Twisted Sister, Judas Priest… But I also like some other bands and artists, like some of the 50s and 60s rock & roll pioneers. My travel to Chile in 1994 to see the show and I ended meeting the band, doing an interview, attended to the soundcheck, etc. If the idea is to continue with the make-up, they are doing the right thing. Ace & Peter are no options anymore. As far as Gene & Paul are in the band, I don’t have big issues about Tommy and Eric using Ace’s and Peter’s make-ups. It’s good to have them creating new music again. We don’t have to forget that these are the very last bullets they have. 6. What was the first KISS show you saw and what are your memories of it? Santiago, Chile Sep. 1st 1994. But first time I saw them live on stage was the day before doing the soundcheck, where they played all kind of strange stuff. The day of the show, we were at the lobby of the hotel with the band waiting for the moment to go to the venue and we got the information that there were some riots outside the stadium because the place was packed and there were still lot of people wanting to get in. We told about that to the band, and they invited to go with them to the show. We got a couple of taxis, and followed the 2 cars of the police and the 2 vans with the band. We entered the venue walking with KISS and seen the whole show on stage from Gene’s side. It was a great experience. All lineups had highs and lows. Musically talking, the Revenge lineup is easily my favorite. In terms of live performance with make-up, surely the originals during 1973-1976 and the one with Ace and Eric Carr in 1980.
b) Gene Simmons – he created KISS with Paul. c) Ace Frehley – a few great songs and solos in the 70s. d) Peter Criss – his drums sound up to 1976.
e) Eric Carr – he was the best drummer in KISS. He was great during the whole decade he was in KISS, not just a couple of years. f) Vinnie Vincent – he co-wrote a lot in a great album like Lick It Up. g) Mark St. John – his face at the back cover of Animalize. 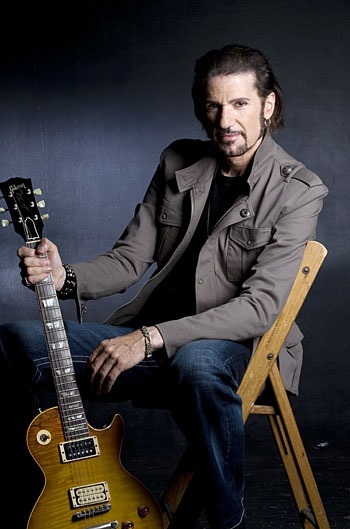 h) Bruce Kulick – the best guitar player KISS ever had. Absolutely professional. His job at the MTV Unplugged was fantastic. i) Eric Singer – absolutely professional. Amazing drummer. He helped the band sound killer in the early 90s. j) Tommy Thayer – the right person to “do” the best Ace possible these days. Even better than Ace himself. Detroit Rock City is my favorite. Least one? Almost all the ones from Carnival Of Souls. Even loving that lineup, I still don’t know why they ended doing that album. In the mid 80s. Probably around 1984. I got a cassette with a copy of “The Tickler” bootleg LP. 11. Not long ago, 3 songs leaked out in MP3 format (Mistake, Fire (It’s Not The Smoke), DRC (demo)) and some people where upset about the leak and afraid other rare stuff may not surface now. Based on your knowledge, how did this affect the KISS bootleg world? Maybe some doors got closed, but not all. 12. How cut throat is the “inner circle” of KISS bootlegs. Some stories or examples would be nice, but please no names! First of all, there’s not a very clear, strong and isolated inner circle of KISS bootlegs. What’s really out there is an amount of long time collectors -here and there- which after getting all what’s circulating just wanted to get more. They just put their time, brains and wallets to work on that. Not all those collectors get along fine. And like everything else in life, there’s people who can be trusted and others not. Those who piss off somebody will obviously get cut any access for more stuff in the future. That’s it. 13. Over the years, we’ve all heard rumors of shows existing. New Orleans 83 is the best example I can think of. Is there a show that everyone thinks is out there but you know its not.As far as I was told, New Orleans 1983 is a myth. If a copy of it still exists, it’s not in hands of any known collector. There are all kind of myths about the existence of diverse recordings…. well, people like believing in unreal things. 14. Largo 77 was rumored and fought about for years before the boot was out in the “trading circle”. Then out of nowhere NY 77 comes out. Whats the chances of something like NY 77 happening again?Who knows. Chances can be zero today, and tomorrow something it’s found or leaked. There’s no ONE holy grail. Video stuff from the recording sessions from the 70s would be great. Maybe full pro-shots of Creatures of The Night, Lick It Up and Asylum…. C) times have you tapped or filmed a show? – audio taped 6 shows in Buenos Aires. a) paid cash for a bootleg? – Not long ago I bought some old rare vinyls. b) Watched a whole bootleg all the way through? – Last year, the shows at the Kruise. c) Purchased any KISS merchandise? – Two old official cassette tapes, a couple of months ago. I don’t collect anything of KISS besides LP, CDs, DVDs, audios and videos. d) Saw KISS live? – Buenos Aires 2009. Not directly, but when they started looking for stuff for the Kisslogy series, somebody who was in contact with them asked me if I’ve had or was able to get the entire pro-shot of Rio 1983 because they were looking for it very hard. It seems they didn’t found it. Yes. The whole band in 1994. Also we did a phone interview with Peter Criss in 1994, and talked over the phone with Vinnie Vincent a couple of times in 1995 for a finally canceled visit of him to Argentina. They’ve always been a great band with a very clear goal: entertain and bring fun to the people with their music and spectacle, all based in a formula they put together and refined. And I respect that a lot. I’ve got lot of fun with them during the last 3 decades.